A garbage disposal is more than an appliance that sits under your kitchen sink, taking up valuable cupboard space. It’s actually a very useful item that grinds up kitchen waste, preventing it from ending up in a landfill. Most people associate garbage disposals with clogs and noise. However, some of these devices are anything but easily clogged and noisy. The Whirlaway 191 garbage disposal claims to be one of these. After reading over its specifications and advertising claims, I purchased one of these devices and then had it installed in my home for the purposes of this review. 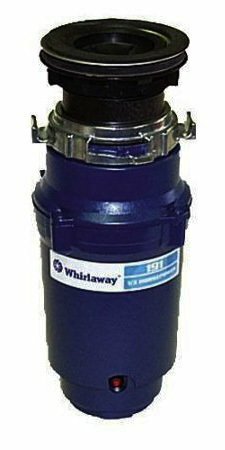 Here, I’ll answer the question: does the Whirlaway 191 1/3 Horsepower garbage disposal live up to its hype? I’ll start with some background on the Whirlaway 191 1/3 Horsepower garbage disposal itself. This appliance is designed to work with both standard sewer systems, as well as septic systems. The difference here is the fact that the Whirlaway 191 garbage disposal chews up food waste into smaller pieces than its predecessors once those scraps are sent down your kitchen sink drain. Models not designed to work with septic systems can send through particles that are too large, causing clogs. Since there’s nothing worse than a clogged septic system, this is something that you need to be aware of. You can’t use a standard disposal. Instead, aim for the Whirlaway 191 garbage disposal. It will suit your needs nicely. The Whirlaway brand is owned and manufactured by Waste King. It’s part of a lineup of similar products (all garbage disposals) that fit nicely under a kitchen sink. Waste King developed the line to be affordably priced, easy to install, and simple to use. The Whirlaway 191 1/3 Horsepower garbage disposal fits that description nicely. It’s a reasonably priced workhorse that’s built to last. The manufacturer, Waste King, produces other appliances, including a line of garbage disposals under their main name, hot water dispensers, and other useful kitchen gadgets. The company has been in business for over 50 years and is based on North Olmsted, Ohio, a suburb of Cleveland. 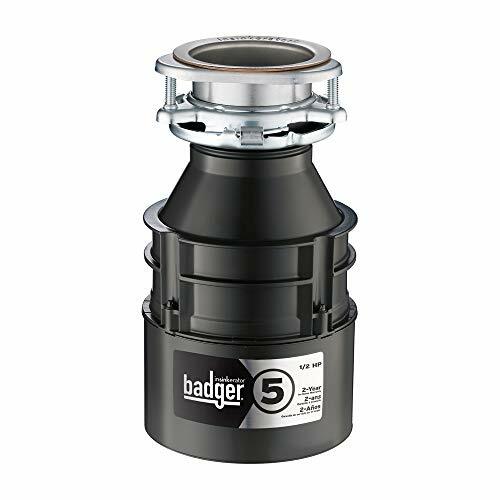 The Whirlaway 191 1/3 horsepower garbage disposal is designed to be high-powered and easy to install. It’s rare to find a disposal that manages to be both. Usually, the very efficient ones are the trickiest to put in. On top of that, this disposal fits nicely under a kitchen sink, where it doesn’t take up too much room. That’s the one issue that I have with many garbage disposals – they prevent me from using as much cabinet space as possible. It’s tough to store things when the disposal is large. Thankfully, the Whirlaway 191 garbage disposal is small but mighty. This appliance has a 1/3 horsepower motor (hence it’s named) and runs on a continuous feed. This means that you can push leftover food (no bones, meat, or citrus please) into it while it’s running, and the Whirlaway 191 garbage disposal will grind them to bits. The other type of disposal requires you to push food scraps into it and then wait until it’s full to plug it and turn it on. These are bad because they tend to clog easily. Plus food will rot inside of them (and inside of your kitchen sink!) before you run them. I don’t know about you, but I like the continuous feed type. On top of that, this disposal runs at 1900 RPM (rotations per minute) and uses 4.0 amps of electricity. It consists of three different materials. The top part that sits at the kitchen sink drain is made of stainless steel. This makes for a sturdy connection that won’t corrode. The grinding chamber is a corrosion proof polymer (a type of thick plastic), while the grinding components, which do all of the work, consist of galvanized steel. In all, the Whirlaway 191 garbage disposal is almost 13 inches long and weighs a mere 7.15 pounds. It runs off of a wall switch and has a red reset button at the bottom. The noise level of the Whirlaway 191 garbage disposal is on par with similar devices. It does not come with any additional sound dampening or insulation. However, since it’s a continuous feed style and only chews up what you put down it from the kitchen sink, you won’t have to worry about running it for too long each time. I use it every time that I cook, meaning that it runs several times a day for around 30 seconds at a time. With that level of use, it’s held up nicely, and the noise level hasn’t bothered me. Does not come with a power cord. That’s where the similarities end. The differences include the power cord. The Waste King 111 comes with one already pre-installed. The Whirlaway model is approved for septic systems, while the other one is not. I’ve already emphasized how important it is to have the right model if you have a garbage disposal, so this difference is meaningful. 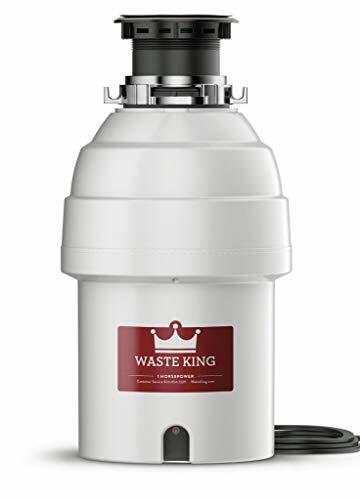 The Waste King disposal comes with a removal splashguard that is easy to clean and comes with a two-year limited warranty. It’s a flashier device but has most of the same bells and whistles as the Whirlaway unit. 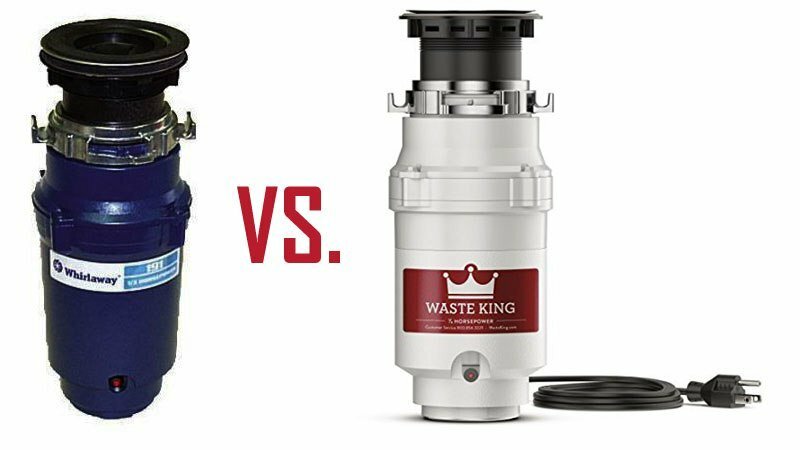 However, there’s one huge difference – the Waste King disposal is quite a bit more expensive than its Whirlaway counterpart. This means that you’re paying more money for a very similar device. I don’t know about you, but I like to get as much for my money as I can, meaning that I prefer the Whirlaway model. After testing out my Whirlaway 191 garbage disposal, I have to say that I highly recommend it. This appliance is powerful and fairly quiet. It is super easy to install and runs great. I have no issues with it clogging, but again, I run it several times a day. I don’t allow food to sit in it for any length of time. As long as you take care of your Whirlaway model, much as I do, it will last you for years to come. 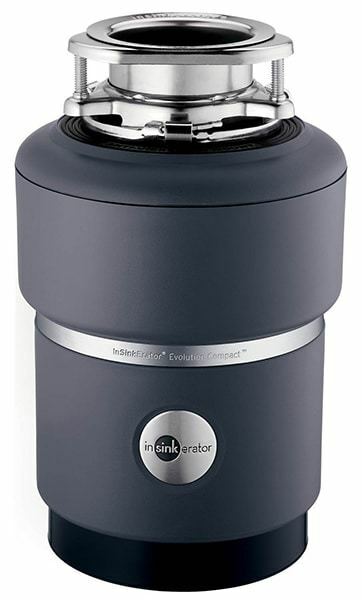 This disposal is affordably priced and comes with everything that you need to install it, except for a power cord. That’s easily rectified, however. Honestly, if you’re looking for an affordable, powerful disposal, then you’ve found one.